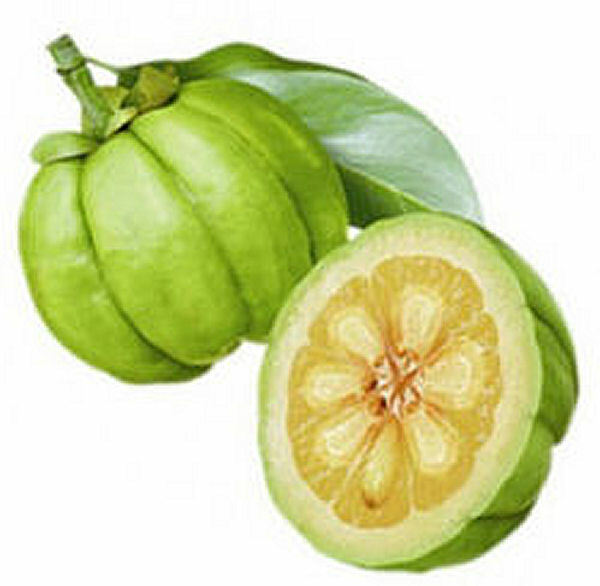 Garcinia Cambogia is a small pumpkin shaped fruit with a light greenish yellow color. It is also known as Brindal Berry, Malabar Tamarind, Tamarind Fruit, Virkshamla, Kankusta, Garcinia Gummi-gutta, and HCA (Hydroxycitric Acid). Garcinia Cambogia is from the plant family Guttiferae and is native to Indonesia but it also grows in Malaysia, India, Southeast Asia and West Africa. The Garcinia Cambogia extract is derived from the rind of the fruit. For centuries, Southeast Asian cultures have used it to treat many health problems, as well as for flavouring curries and chutneys, curing fish and meat, and preserving food. A few recent studies have concluded that this extract contains many beneficial components including potassium, calcium, and hydroxycitric acid which confirm the many health benefits of it. Garcinia Cambogia has been used to treat many health conditions for centuries. It has been used in the treatment of anxiety, obesity, sleep disorders, diarrhea, and intestinal parasites. It may also help lower bad cholesterol levels (LDL), control emotional or reactive eating habits, and increase serotonin levels. More recently, Garcinia Cambogia has gained popularity due to its appetite suppressant activity. Dr. Oz, the popular TV show host, recently described it as the "Holy Grail" of weight loss. A few recent studies have found that Garcinia Cambogia contains Hydroxycitric Acid which aids weight loss in two ways. The first is by inhibiting an enzyme called Citrate Lyase which our body uses to convert carbohydrates and sugars into fat. By taking Garcinia Cambogia, the instead converts carbohydrates and sugars into energy. The halted fat-making process may also shrink existing fat cells, making an individual more lean in the long term. When there is less new fat content, the body responds by burning existing fat reserves first. This suspension of the fat-making process also decreases the production of LDL cholesterol (the bad one) and triglycerides. The second way Garcinia Cambogia promotes weight loss is by increasing serotonin levels in the brain. Serotonin is often known as the brain's "feel good" hormone, and it can act as a natural appetite and craving suppressant. High serotonin can help block appetite by triggering the feeling of satisfaction and fullness. As less food is consumed, the body starts burning stored fat for energy. Studies show that low levels of serotonin can increase food cravings which can lead to emotional eating and binge eating disorders. Therefore, taking Garcinia Cambogia extract may promote more controlled eating habits while also halting the fat-making process, resulting in significant weight loss. One randomized study found that with a calorie-restricted diet of 1200 calories per day, the participants who took 1320 mg of Garcinia Cambogia lost an average of 14 pounds during 8 weeks. The experimental group also noted less cravings. Therefore, an effective home remedy for weight loss is to take 1320 mg of Garcinia Cambogia daily with a low calorie diet of 1200 calories per day. The effectiveness of this remedy can be furthered increased by combining it with a regular exercise regimen and a healthy low carb diet. Research suggests that the Hydroxycitric Acid in Garcinia Cambogia may help lower high cholesterol levels by decreasing the production of LDL (bad cholesterol) and triglycerides. Therefore, simply taking one capsule of Garcinia Cambogia extract 30 minutes before a meal twice daily may help lower high cholesterol levels. As described earlier, the HCA in Garcinia Cambogia is known to increase serotonin levels in the brain. By increasing this "happiness" hormone, the HCA may act as a natural mood regulator. Studies show that low levels of serotonin may cause anxiety, depression and sleep disorders. Therefore, many antidepressant medications contain serotonin boosters to make patients feel mentally and emotionally stable, focused, energetic and less anxious. A simple remedy for anxiety or depression is to take one capsule of Garcinia Cambogia twice daily about 30 minutes before a meal. Garcinia Cambogia has been used safely for therapeutic and flavouring purposes for centuries. Therefore, taking its extract in moderate amounts is not known to have any adverse effects. However, overdosing may cause nausea, digestive tract problems, and/or headache. For this reason, the maximum daily intake of Garcinia Cambogia should not be more than 3000 mg. Note that there is also insufficient information about the long term use of Garcinia Cambogia. Since existing studies have not used Garcinia Cambogia extract for more than 12 weeks at a time, it is recommended to discontinue the use of Garcinia Cambogia after 12 weeks or follow your physician's instructions. Similarly, Garcinia Cambogia extract is not recommended for pregnant and breastfeeding women since there is insufficient information about its safety during during these critical periods. Since Garcinia Cambogia is known for its antiglycemic, cholesterol lowering, and antidepressant activity, it is recommended that you consult your healthcare provider if you are currently taking other medications for depression, Alzheimer's disease, dementia, diabetes, or high cholesterol levels. This is primarily to avoid intensifying the effects of any existing medications. Garcinia Cambogia extract can be purchased at herbal food stores and online. It is available in the form of capsules, tablets, chewable gummies, powder, liquid and strips. Currently, HCA potassium salts are also available in the market which have also been used effectively for weight loss. When purchasing Garcinia Cambogia, check that it is organic, pure and natural. A quality product should contain at least 50% - 60% HCA (Hydroxycitric Acid) and is free of any type of fillers, binders, yeast and sugars. The more HCA (Hydroxycitric Acid) the better it is. Find natural techniques to cope with this common mental disorder. Find out how to lower LDL and increase HDL in your blood. Garcinia Cambogia works great for weight loss and has no side effects. You'll forget all other weight loss products when you'll try Garcinia Cambogia. Does Garcinia Cambogia really work to reduce weight? And how much does it cost? So true! Garcinia Cambogia is very popular weight loss supplement, it contains HCA which aids weight loss. Apart from weight loss, it has been used in the treatment of anxiety, obesity, sleep disorders, diarrhea, and many more health condition. Garcinia help people lose weight rapidly when they incorporate it into a healthy lifestyle. If you are looking to purchase the extract, remember, it is wise to choose a product that contains 100% pure Garcinia so that you reap all of the above benefits of the natural extract.